The North Dakota Bankruptcy Trustee program is part of the Department of Justice. Their office is located in outside of North Dakota in Sioux Falls, South Dakota. The address, telephone and fax number is as follows; Office of The United States Trustee, 314 S. Main Street, Suite 303, Sioux Falls, SD 57104 / Telephone: (605) 330-4450 / Fax: (605) 330-4456. A United States Trustee is appointed to the 21 regions by the Attorney General. At the present time, Daniel M. McDermott is the U.S. Trustee for Region 12. This region includes the Iowa, Minnesota, North Dakota and South Dakota. The Chief Bankruptcy Judge for the United States Bankruptcy Court / District of North Dakota (part of Region 12) is the Hon. Shon Kaelberer Hastings. An U.S. Trustee manages and appoints standing trustees for chapters 7, 12 and 13 bankruptcy cases in this region. Please note: The standing trustees are appointed by the U.S. Trustee (in this case, Daniel McDermott) are not government employees but private parties. Visit Chapter 7, 12, and/or 13 sections for names and contact information of individuals named who administer the individual bankruptcy cases in North Dakota. Three trustees for Chapter 7 are listed in the District of North Dakota. Their location of practice and telephone numbers are included. The Trustee for Chapter 12 (family farmer and/or fisherman) are assigned on a case by case basis. The office is located in Sioux Falls, South Dakota. Wayne E. Drewes of Fargo, ND is the Chapter 13 Trustee for the State of North Dakota. Listed below are names, titles locations and telephone numbers of staff members of the trustee program. Please note, the regional office for the North Dakota Trustees program is located in Sioux Falls, ND. There are four locations in North Dakota where 341 meetings are held. They include the following communities. 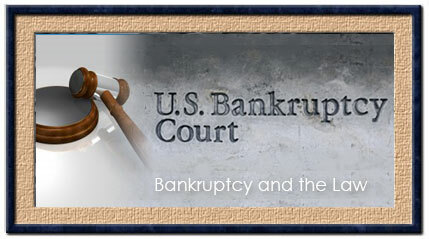 The Bankruptcy Trustee - The U.S. 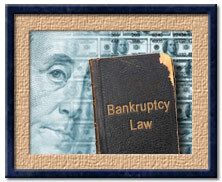 Trustee's Office in each district maintains a panel of persons who are qualified to serve as bankruptcy trustees. Chapter 11 Trustee - If a trustee is appointed in a Chapter 11 case, he becomes responsible for the management of the debtor's business affairs, and the filing of the required reports and tax returns. 341 Creditors Meeting - The purpose of the meeting is for the trustee and the creditors to have an opportunity to question the debtor about the debtor's assets, liabilities, and any matter which may relate to debtor's right to a discharge. Chapter 11 Creditors Committee - The committee is composed of holders of unsecured claims, excluding insiders, and has up to 7 members. Meeting of Creditors in Chapter 13 - The trustee and creditors are allowed to ask questions about the debtor's assets and liabilities, his financial affairs, and his proposed plan.